Team Hase: I met my husband on the very first day of classes our freshman year of college in 2002. We clicked instantly and got married on September 1, 2007, exactly five years to the day after our first date. We currently live in the Philly suburbs where my husband works as a web developer and I am in graduate school. We enjoy cooking healthy, organic meals, playing tennis together 3 - 5 times a week, camping, hiking, and traveling. 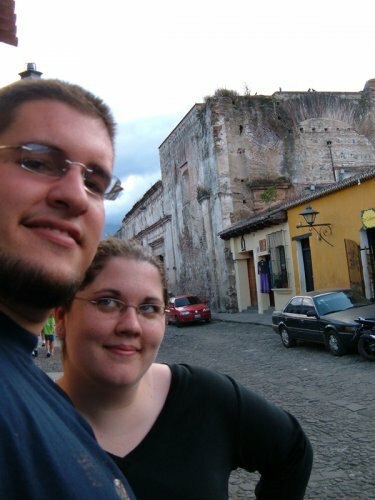 So far we've been to Mexico, Puerto Rico, Spain, and Guatemala. We just celebrated our anniversary by climbing to the top of Blue Knob, the second highest peak in Pennsylvania. We are a happy, active, on-the-go, and completely in love.